This year has seen a lot of people going back to the past to find answers and to readjust their path in order to re-imagine their future. In doing so, some have felt a overwhelming feeling of failure, unease and even dealt with their pride being hurt. The ego is bruised when we change our paths to something we truly believed in not working out. It is hard to accept, the mind taking charge and making realistic plans. Failure is felt when things don’t go to plan or once you have realised that like the man who tried to get water out of the well, that it was going to take a lot more work as the pail had holes in it. Hot, and sweaty with sore arms, he slogged away to fill the jugs of the cool, clean well water. The pail with the hole was reducing the amount of water per draw. He could either keep doing what he was doing with little result or get a new pail or find something else to use. Alternatively, he could find another water source. These are choices not failures. You can overcome a situation using your internal wisdom and not allow emotions to cloud your judgement. In the same way, some of us are dealing with “letting go” of the security of what you are doing, of the feeling of failure, of change or the fear of something new. Our physical body signs can be very revealing. These last week along with the very atmospheric skies over the UK shadows our inner struggles. The darkness within mirrors our experiences outside. People have been in touch this week saying they have been feeling very defeated, angry at times, procrastinating, depressed, fuzzy head and another even said some said they felt wobbly. Imagine there is a tug of war happening inside your body. How would it feel? One end pulling on the robe and the other holding on to the rope for dear life. Obviously there would be tension, agony and the sheer will power of both sides to hold on to the rope wouldn’t you? Your body is merely reacting to what is going on in your mind and spiritual layer. We are being asked to take a step back from our situation and to review it with clear eyes and less attachment. The more you do this, the easier it will become. If we view it as “failure” then it attracts other mental negativity that only leads to a darker place mentally. We become too emotional and our actions will be driven from the wrong place. Using logic and a practical approach allows us to see things for what they are and making the adjustments to rectify the situation. Energetically, this is happening for a big reason as this entire week, has been about “Good” vs “Evil”. 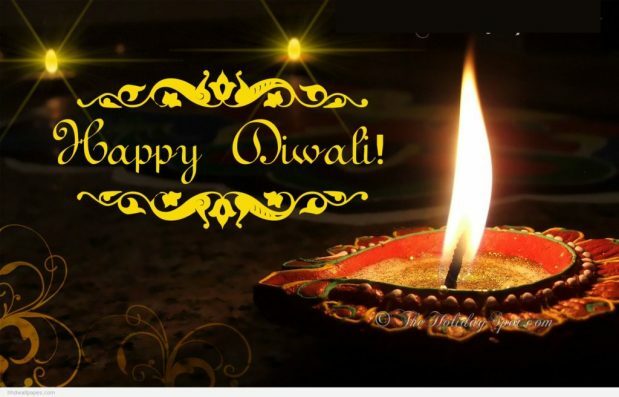 Today ends the victory of good and Hindus around the world will celebrate Diwali which is the festival of lights. According to Hindu mythology, a super powerful demon called Narakasura who unleashed unimaginable pain and suffering to the world, was killed by Goddess Kali. who is a powerful, albeit scarier avatar of the Gods merged together. She is the warrior Goddess who was created to go to war, to save the world, to bring salvation to mankind. This is why her image often depicts her holding the bloody head of Narakasura. Simply put, the demon had declared to all the male Gods who tried to fight him and failed, that “No man can kill me”. He was arrogant enough to dismiss feminine power and therefore was defeated by Kali who incorporated both male and female energies. Hindus fast and pray for light into their lives, deal with the darkness within before today, when the dawn breaks to bring positivity and success. The Goddess of success and luck, Lakshmi is celebrated on the last few days to pray for happiness, fortune and success in all aspects of their lives. In some ways, festival of lights is the war of inner darkness, to ward off bad luck and and dedicating time and space to positive thinking. 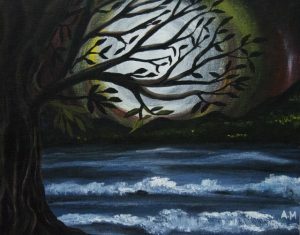 This translate to our modern times as using knowledge and intuition to overcome our own darkness. When there is darkness there is light. 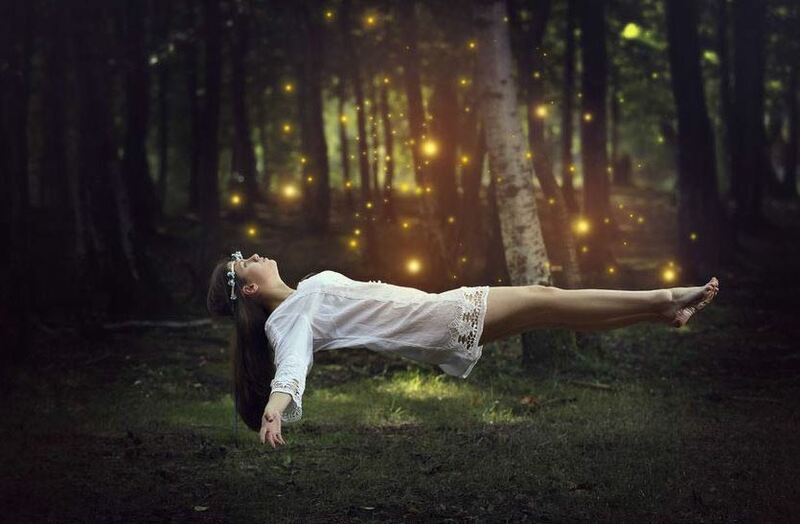 So when there is doubt, trust your intuition and don’t be afraid to step into the bright light where there is clarity. 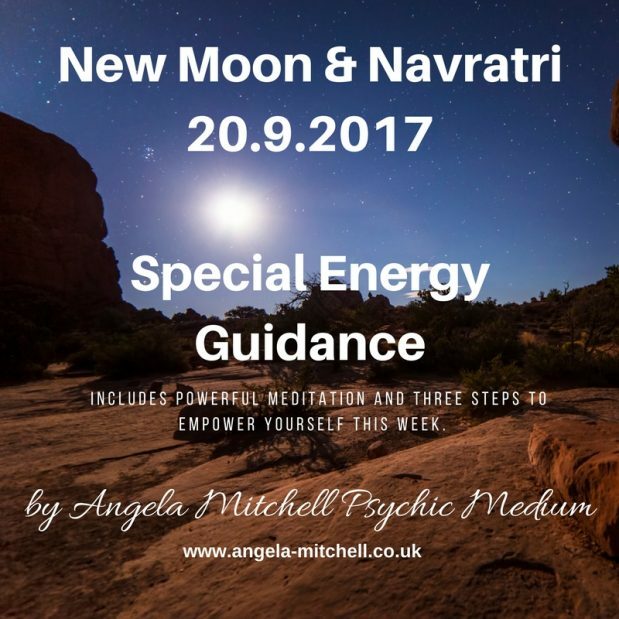 The New Moon which arrives tomorrow (October 19) offers us a new cycle of “letting go” and transformation which will be felt strongly by the Full Moon which falls on November 4th. You can help the universe by writing down your situation or what is holding you back on a piece of paper and go outside tomorrow evening to burn the paper. Hold the thought in your mind that you want to let go and welcome help from the universe. The veils between our two worlds are thinning so there is no doubt that our Spirit people, Angels and the universal force will be there to lend us a hand. Keep your thoughts positive, believe there is good change happening and everything will work out for the best. Be open to the fact that it may not be exactly how you want it, as the more we relinquish control, then the easier it is for the powers that may be, to deliver. So why is this happening and why now? There is a bigger picture for us to open our awareness to. There is a next level of consciousness and experience but we cannot get there if we are holding on to fear and same old believes. The world is changing and there is a huge shift of thinking coming our way. We have often questioned how human evolution was going to take place, are we going to turn into zebras or three eyed aliens? What next after the ape? Well according to my awareness, the evolution will come in changes to mindset, to the way we think and feel. New thought processes and being able to accept the inevitable such as the possibility of Spirit being in the same space as us will be more accepted and mainstream. So it starts with us now. Being able to shift our consciousness will be important. We are being shaken to the core to make ourselves a lot more flexible and accepting for what is around the corner. There are exciting times ahead for all of us and there is a universal feeling of “something big” is about to happen. It is also a good time to make space for yourself and meditate. I love this very uplifting and super powerful mantra which is mantra of mantras. The music and the singers voice is so calming and gentle which really changes the energy around me when I listen to the music. You can click to listen to it here. I am actually listening to it as I write this guidance. With that I wish you all a lovely Diwali and may the light be always in your life. April has been a mix bag of good and bad for most of us. We would have seen one area of our lives speeding up while in another, big challenges would have cropped up. This would have really stirred some big emotions in us while we tried to keep positive and moved forward, making big strides in career, changes in self employment and saying yes to opportunities. Some of us would have being going through the motions with a heavy heart burdened with grief or dreading the prospect of having to solve problems at home. Despite all this, we have stayed strong and shifted from the shadow into the light. 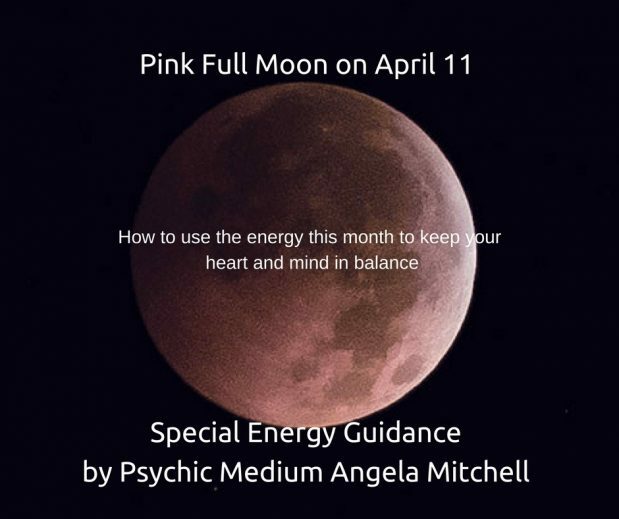 There is good positive movement forward and the Pink full moon, will bring more balance. Our heart chakras as being re-calibrated and expanded. I feel some of us will have very fleeting feelings of being spaced out. Please seek medical advise if it happens frequently or involves chest pains. 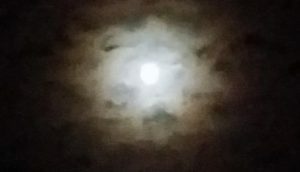 Full moon energy is strong and the veil between our worlds becomes just a little thinner during this time, allowing our guides and Ascended Masters to help us ascend to the next level of consciousness. Why is this month’s full moon called “pink”? Apparently it was named after the pink flowers that blossom in April and symbolises new beginnings, rebirth and hope. This is a special week as the Hindus are celebrating Hanuman Jayanthi, the birth of Lord Hanuman who was played a significant role in the Ramayana and Hindu mythology. He is a symbol of strength, peace and protection. the commander of the monkey army who was deeply devoted to Lord Ram. He is seen as the protector of the light as he fought against darkness and to save Sita. I really love the collection of stories and information here. Although I was Roman Catholic, my mother was and still Hindu so I grew with both religions. I have always had affection for Hanuman and associate him with Archangel Michael. A few years ago when I was standing on a train platform walking towards the edge in a daze, the fast train speeding into the station, I saw a figure appear from the other side. I was pushed back and I woke up from my stupor, realising what very nearly happened. 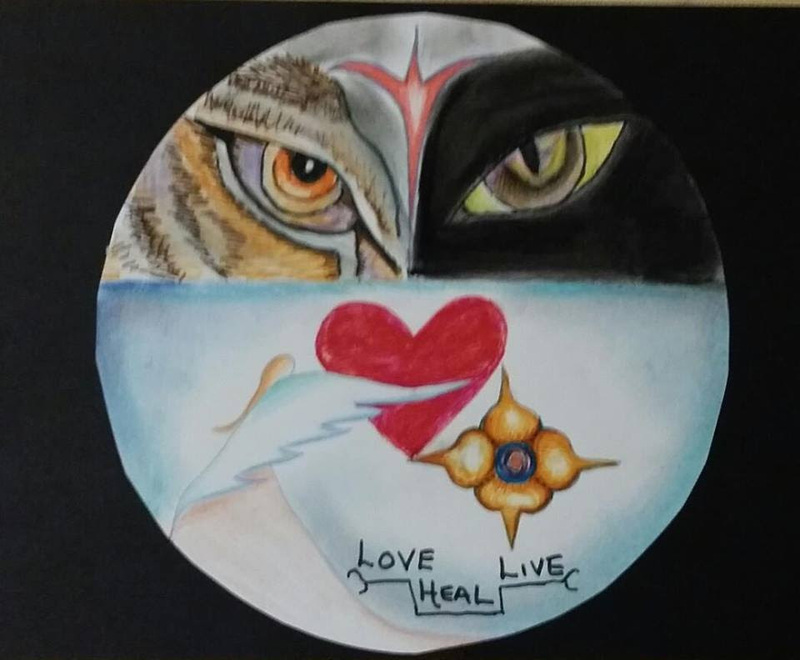 A few years later, sitting in my therapy room, meditating and opening myself to Spirit as I normally do before I start seeing clients, I saw this figure again. This time I felt the familiar energy and strength which is when I realised was from my childhood. It also then was revealed to me through messages in my mind, that Archangel Michael and Hanuman were one of the same. It totally made sense to me as I felt the very same feeling and energy when I stood in front of a Hanuman statue in a temple as I did when I called on Archangel Michael. They are both protectors, guardians, leaders, strong, Angels and highly devoted. The Hanuman celebration tomorrow is supposed to be extremely significant for the Hindu calendar. If you would like to take advantage of this amazing day then just find a moment anytime on Tuesday to listen to this mantra with your eyes closed and focus on your 3rd eye chakra. 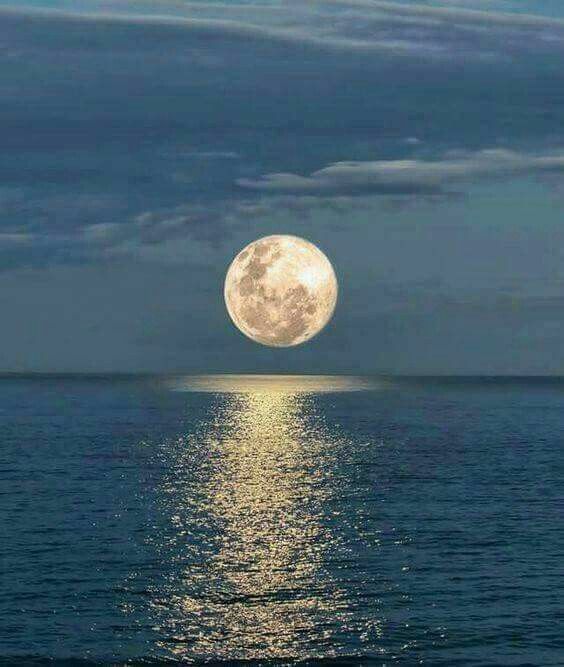 The full moon coincides with the beginning of Passover for the Jewish community which is about liberation and Easter for the Christian (resurrection of Christ). So what does it all mean for us? Balance – Pay attention to your body as it feels like some of us may be ignoring little signals. You can only go forward if your body is also ready and able to carry you. So stop and rest this next two weeks. If could mean taking some time off to just sit in the garden, meditation, yoga, going on walk, extra sleep or treating yourself to a massage – do what makes you feel relaxed. Kindness – spread light. There is a lot of violence and sadness in the world. We often feel helpless when something horrible happens in the world. The truth is the power is in our hands and it starts with being kind, spreading love and being compassionate. Buy a coffee for a homeless man or woman, speak to someone on the train or the supermarket or drop a friend a message to see if they are okay. It all starts with a smile and feeling supported. Gestures need not be big or magical. Just be kind. Focus on what you want and not what you don’t have. The more we rise above our current situation the easier it is for the universe to deliver us the results that we want in our lives. If you are in difficulty, then visualise a time in the future where things have changed for the better. The more you put your energy into this outcome, the more you start to manifest the shift. Perspective – moon energy often provides us with clarity and the Pink moon will bring you the ability to see things from someone else’s perspective. If you have been struggling with a problem and feel blocked, then you will be able to see the “other side” which will help you find solutions. Heart – Venus and Mercury are in Retrograde so matters of the heart and family life will be important. You will be having a lot more heart to heart talks with people closest to you. 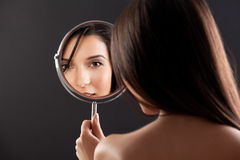 Self Worth – this will be a theme or potentially a challenge for some this next week. If you feel pushed into a corner or forced to face certain aspects of your personality, try to keep a cool head. This is being sent to you for your highest good. The more we hide from things we see as “flaws” the bigger it gets. We have to face our demons, slay it and learn from it. Keep your feet firmly on the ground and stay focused on what is important. Don’t shoot the messenger and remember its a lesson to improve. Take advantage of the full moon energy and follow my Moon Ritual guide. You can do it on Tues or Wednesday evening. Please feel free to share and also leave a comment. I love to hear from you!